Music Notepads come in several styles: bound, mini, pads and sets. These are useful notepades that make good music gifts. Our music sets are a Music Treasures exclusive! All of our products come with the Music Treasures Co. Guarantee. Purchase Music Notepad with confidence from an established company through our secure online ordering. 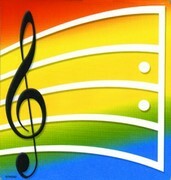 Buy Music Notepads come in several styles: bound, mini, pads and sets. These are useful notepades that make good music gifts. Our music sets are a Music Treasures exclusive!